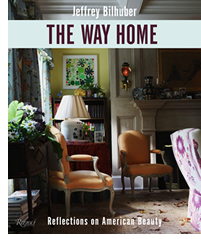 Designer and Author Jeffrey Bilhuber Brings His American Style to Bedford’s Antiques & Design Show. Completely re-imagined this year, Bedford’s new Antiques & Design Show will be at Historical Hall on October 13th and 14th and will feature a presentation on Saturday evening from interior designer and author Jeffrey Bilhuber. The presentation and lecture will give insights into Mr. Bilhuber’s newly published book, The Way Home: Reflections on American Beauty. Longtime supporter and Bedford Historical Society member Martha Stewart will introduce Mr. Bilhuber’s presentation which will be followed by a book signing. The event will be held under the stars on the Village Green from 6 to 8:30pm. Tickets to the presentation and cocktail reception with lavish hors d’oeuvres and signature cocktails start at $125. The Bedford Historical Society’s Antiques & Design Show is Saturday, October 13th from 10 AM to 6 PM and Sunday, October 14th from 11 AM to 4 PM at Historical Hall, 608 Old Post Road, Bedford, New York. Dealers will have a wide array of items with today’s design sensibilities in mind. foley & cox HOME will have a selection of superb European and American antique furniture, custom upholstered furniture and marvelous accessories. Bedford’s own Clover Design will feature one-of- a-kind objects, furniture and accessories, vintage and modern. Donald Rich Antiques will be offering a full array of antiques focusing primarily on English American, & Continental 18th & 19th Century furniture, Chinese and English porcelain, and fine art. Admission to the Antiques and Design Show is $10 for both days and tickets are for sale at the door. Proceeds from the two Historical Society events will benefit the BHS Properties Fund. For further information or to purchase tickets contact the Bedford Historical Society at 914 234-9751 or www.bedfordhistoricalsociety.org.